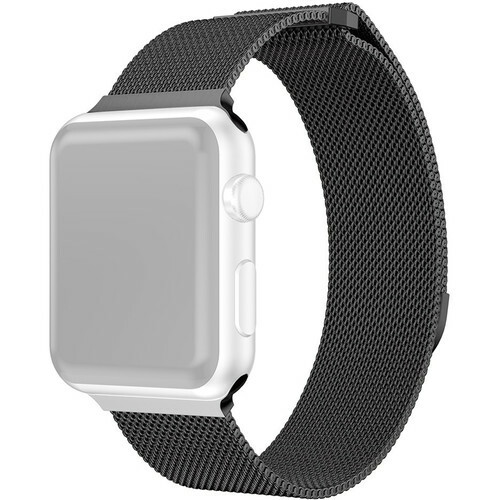 Swap the strap of your 42mm or 44mm Apple Watch with this black Stainless Steel Mesh Band from CASEPH. Its black color complements your watch bezel for seamless color coordination, and the magnetic closure keeps it securely fastened. Designed to fit individuals with wrists measuring 6.5 to 8.4" around, this band is made from stainless steel mesh for all-day comfort. Box Dimensions (LxWxH) 7.1 x 2.1 x 0.6"